Students register for Distance Learning classes in the same way that they register for any other class. That is, students apply to the College, take any required placement tests, meet with an advisor as necessary, and register for classes. To begin the registration process, contact the Admissions Office. There are two types of Distance Learning classes, Hybrid (H) and Web (W). Hybrid – courses in which a majority of instruction is delivered online but attendance is required on-campus at prescheduled times throughout the semester. It is the student’s responsibility to understand the on-campus attendance requirements for any Hybrid course in which he/she enrolls. Calhoun identifies Hybrid sections with an “H” in the course schedule. For example, “ART 173 H01” is ART 173 – Photography I, hybrid section 1. Web – courses in which instruction is delivered entirely online. Students should be aware that instructors of Web courses may require proctored exams. Proctored exams must be taken at a location that has been pre-approved by the instructor. Calhoun identifies a Web course with a “W” in the course schedule. For example, “CHM 104 W01” is CHM 104 – Intro to Inorganic Chemistry, Websection 1. Financial Aid applies to distance learning courses in the same manner as other Calhoun courses. The first step to receiving financial aid is filling out the FAFSA. For assistance with the process and other questions, please contact the Financial Aid Office. Students registered for Distance Learning (DL) classes will access their courses through Blackboard. DL courses are available by 8am CST on the first day of the semester. Students MUST login to their DL courses in Blackboard during the first week of the semester. Failure to do so may result in being removed from the course for nonattendance, and will impact financial aid for those receiving it. Use of Blackboard is required for accessing all DL courses so DL students are expected to have moderate computer skills as well as access to a reliable computer and Internet connection. The Technical Requirements are available via the Distance Learning site. DL students should understand that DL classes often require a greater amount of self-discipline and personal responsibility than traditional classes. If you are considering a DL course or program, visit Distance Education.org to read more about what it takes to succeed in DL classes. Students enrolled in DL classes at Calhoun have access to all the facilities, services, and resources offered on Calhoun’s physical campuses. For assistance or additional information, please contact the corresponding department directly. Distance Learning Complaint Process for Out of State Students – Calhoun Community College desires to resolve student grievances, complaints and concerns in an expeditious, fair and amicable manner. Students residing outside of the State of Alabama while attending CCC who desire to resolve a grievance should follow the College’s Student Grievance Procedure as outlined in the “Calhoun Community College Catalog and Student Handbook”. However, if an issue cannot be resolved internally, you may file a complaint with your State. The Student Grievance Contact Information for Individual States provides phone numbers, emails and/or links to state education agencies. 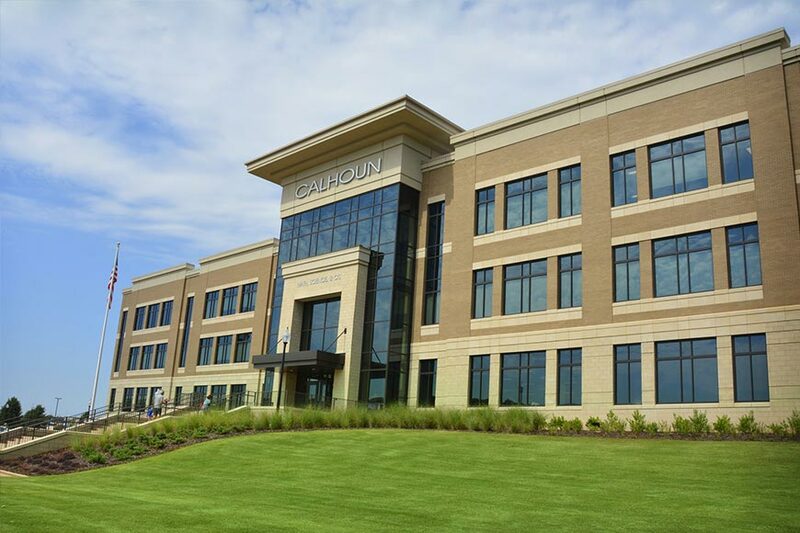 Calhoun Community College is accredited by the Southern Association of Colleges and Schools.